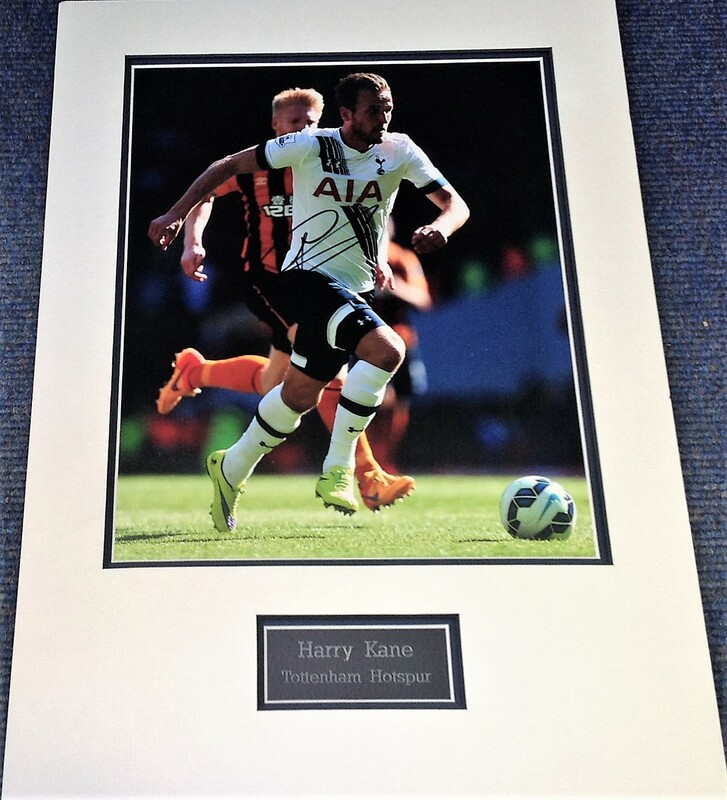 Football Harry Kane 21x15 approx mounted signed colour photo pictured in action for Spurs. Harry Edward Kane MBE is an English professional footballer who plays as a striker for Premier League club Tottenham Hotspur and captains the England national team. Many panel members commissioned by The Guardian considered him to be one of the best players in the world in 2018. Good Condition. All signed pieces come with a Certificate of Authenticity. We combine postage on multiple winning lots and can ship worldwide. UK postage from £3.99, EU from £5.99, Rest of World from £7.99.